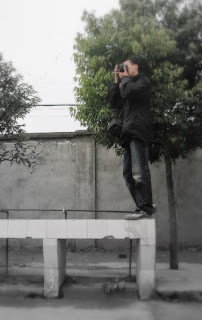 This is Ah Seng, one of the co-leaders and the secondary photographer for Amazing Team IX. Before our luffable Li Siam starts to blog our journey into the Sichuan world, I would just like to add on this entry from a personal view. 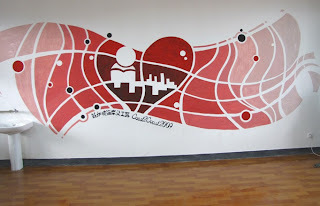 We started off this project in July09 with the intention in mind to aid the victims of the 512 earthquake. In between, there were a few mis-communication with our China volunteers counterpart that sometimes dishearted our actions. But we perserve on. Putting administrative and political issues aside, I believe no matter how hard the journey is, as long as we come with a good intention, volunteers will somehow work together for a common cause. Despite being through a few winters in my life, the weather was harsh on us. It was amazingly COLD!!! Garangly, we all try to keep ourselves alive with tons of thermal clothings, gloves, heat packs, hot drinks. Everyday, it was either cold, very cold, or very very cold! The kids were lovable, the teachers were extremely helpful, and our China volunteers did all they can to assist us in our project and making ourselves at home. The Chinese keep on saying this: "虽然气候是如此地寒冷，可是我们的心是赤热的！"
We had piece out a team so efficient, so crazy, so united, that I can't help by toasting them with a 3元 雪花啤酒 each.. haa.... Every single one of them had contributed to the project in their own unique ways, well done. GOOD JOB. Mural paintings, floor layering, wall plastering, washing, brooming, manual labour, arranging books, library-ing, teaching, kacang-putih-ing, playing, sharing, facilitating, eating, eating, eating, drinking beer and alcohol, laughing, firework-ing, bridging, in-between-ing, all that we did and more. Sichuan Sweethearts (less Ah Gong and Grace) have returned to Singapore safely on 27 Dec 09 around 1am, less the fever/flu/rash that many had after the return to Singapore. Whilst our dear Kian Seng is still busy compiling all the pictures; dear Chelsea editing her pictures to perfection, this is the sneak preview of what Team IX had contributed in Sichuan, China. 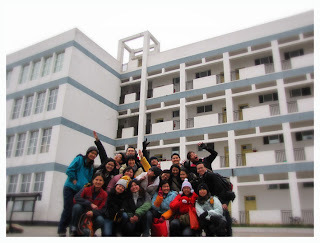 You Zha Primary - Dormitory. We did a mural painting of the underwater world which fascinated the children, washed and patched the walls opposite to the mural painting. You Zha Primary - Library. In hope to inspire the children to learn more English we did a cute alphabet listing, wall stickers of a garden of flowers, refurbished the library with new chairs, tables, shelves, flooring and a TV. You Zha Primary - did all these within 2 days (18 & 20 Dec 2009), to educate the children the concept of loving their fruits and vegetables. You Zha Primary - on 22 Dec 2009, the children performed their 体操表演, donning the t-shirts that were pooled from the contributions by the public and donors. Tong Ji School - Despite the short stay of 2 working days, we decorated the psychology room with a piece of our kampong. 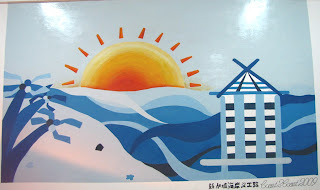 Tong Ji School - The mural painting of the multi purpose room, of which the theme is Return to Society. We also refurbished the room with new chairs, tables, flooring and a projector. That's all folks! Till the next update which will be a detailed description of Day 1 - Singapore to Sichuan. This is an update from Singapore Changi Airport, 1.21am before our boarding. Oooh, I wonder if we're going to freeze our butts off in Sichuan land, but with the love from our dearest Sichuan Sweethearts, we shall survive all odds! Love always overcomes EVERYTHING!